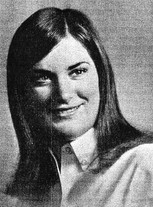 Penny was raised in Billings and graduated from Billings West High School in 1967. Soon after, Penny married Gene Fisher. They raised two children together. Over the years, Penny lived in different places around the United States, spending several years in Billings. Penny is survived by spouse, Patty Higginson-Fisher, of Punta Gorda, Florida; daughter, Monica Wheeler (Dave) of Pasco Washington; son, Jim Fisher (Terry) of Lodi, California; grandchildren, Ryan and Lauren Wheeler; and sister, Gayle Young (Harvey), of Billings. She was preceded in death by her mother, June Geiger; father, Pius Geiger; brother, Pius Geiger, and sister, Jan Vertommen. A Memorial Service will be held on Saturday, Nov. 11, at 1 p.m., at Events at Sunset in Richland, Washington, with a reception immediately following. Express thoughts and memories on www.einansatsunset.com. Sorry to hear this, I started out in the first grade with Penny, really nice girl, lady. So sad, what a great lady...always liked her a lot! So sorry to learn's of Penny's passing. I had hoped to see her at the reunion. I was in first grade at Newman School with Penny and have fond memories of her. Rest in peace, Penny.